Drug money is a massive source of profit for ISIS, who makes up to $1 billion annually from sales throughout its conquered lands, according to the Russian Federal Drug Control Service (FSKN). "The area of poppy plantations is growing. This year, I think, we’ll hear news about a record-high poppy harvest, therefore a high yield of opium and heroin. So this issue should be raised not only in Moscow, but also in the UN in general, because this is a threat not only to our country, but also European security. Over the past five years the Balkan route has been split - heroin traffic now also goes through Iraqi territory," TASS quotes FSKN head Viktor Ivanov as saying. "According to our estimates, IS makes up to $1 billion annually on Afghan heroin trafficked through its territory," he added. The FSKN in November said that the sale of Afghan heroin in Europe could generate upwards of $50 billion for the militants. What’s more, over half of Europe’s heroin now comes from the IS, according to Ivanov. 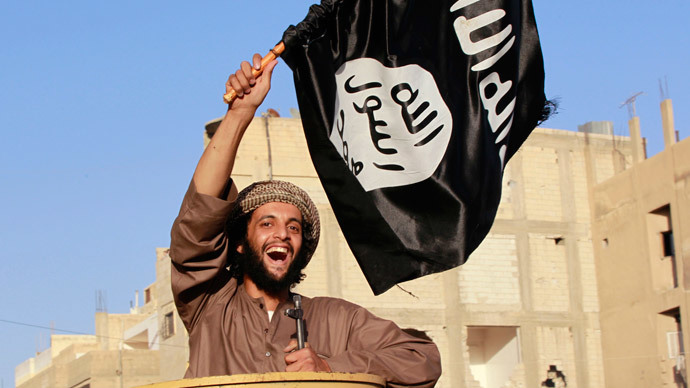 Indeed, drug money has been high on the IS’s list of profit generators, together with oil and conquest. A recent report by the Financial Action Task Force talked of how the IS has been branching out into all manner of finance-generating activities, though it is the reliance on oil that makes them a truly unique terrorist group, unlike others before it. It remains unclear whether IS can hold its drugs though, let alone run a smuggling business. One British ex-soldier who joined the Peshmerga Kurdish fighters in November 2014 to fight the IS describes the majority of Islamist militants as a disorganized bunch of “office workers and villagers” on drugs. “They do not have a choice, and they don't have any information, or even any clear leadership. Many of them are heavily involved in taking drugs they are so terrified,” Jamie Read said. The terrorists have also reportedly been diversifying their approach to financing their operations.